From an early age, learning strategies are demonstrated to develop memory and to help the child in organising information naturally in his brain; notably with the use of mind maps. These strategies will serve him throughout his whole life! 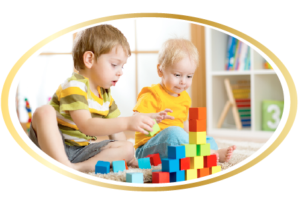 Presented in a playful and age-appropriate way, they will become an integral part of the child’s daily life. The teaching is bilingual. 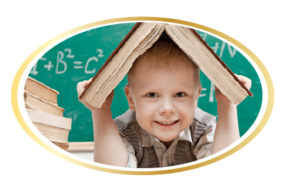 In each class, children are accompanied by an Educator speaking French and an Assistant speaking only in English. 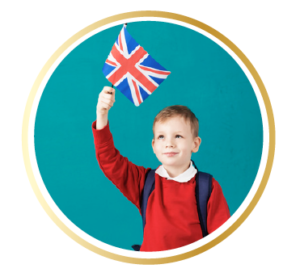 This permanent French-English immersion will permit the child to master both languages within a few years. Until the age of 7, the child’s limbic system or emotional brain is immature which is why he has so much trouble managing his emotions. 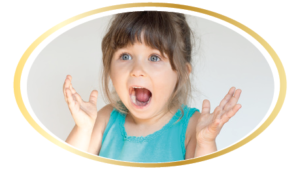 A fun way to acquire the emotional vocabulary will be proposed in class allowing the child to express his feelings. An approach to constructive dialogue (authentic speaking and empathic understanding) will open up possibilities to resolve conflicts without violence or resentment, learning to name his feelings and needs. At the same time, relaxation sessions will allow him to learn how to release tensions and stress. Primitive Reflexes are automatic movements observed in new-born babies and which are induced by specific internal or external stimuli. This includes, for example: a new-born’s walking or stepping reflex or sucking reflex. After their appearance, primitive reflexes have a phase of activation and inhibition. They will allow the brain to mature, to create communication networks essential to the acquisition of voluntary movements and access to learning abilities. A child whose reflexes have been sufficiently activated and then integrated feels completely safe. He has a mature understanding of himself both physically and emotionally and, therefore, a better understanding of others and of his environment. He gradually strengthens his ability to adapt and frees himself for learning. If reflexes do not integrate with the nervous system, they create a physical stress that will prevent the child from dedicating himself to learning. His energy will be spent on developing postural strategies to search for a feeling of security. Wrapping his legs around the legs of a chair is an example. In these conditions and regardless of his IQ, the child cannot achieve his learning potential. The Orchids School will offer a reflex check-up as part of the registration of each child. In class, activities will allow him to integrate the reflexes essential to learning. Motor skills develop from 0 to 5 years. 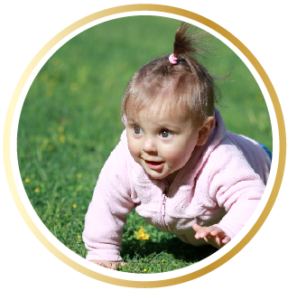 This motor development allows the child to acquire balance, coordination and to use all his muscles in order to master certain physical activities such as sitting, crawling, walking, running, climbing, jumping, kicking a ball… and do whatever his body permits him to do and which he likes. He will then be able then to participate in the sports of his own choice which will likely contribute to increased happiness and a balanced life. 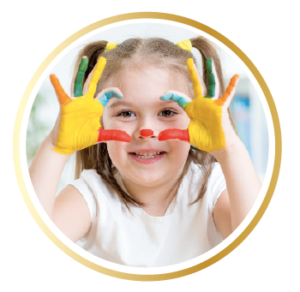 The child is naturally sensitive to beauty, to art in all its forms: painting, sculpture, writing, music… Art will help him to cultivate beauty and invite him to let hiscreative side emerge. These discoveries and natural experiments help him to feel confident and competent. Play is a vital need for the child, it maintains his joy of life and his curiosity. So, at the end of the day, sessions of themed games (mathematical, strategic, language development…) will be proposed. After exertion, some relaxation!